Microelectromechanical systems (MEMS) are found in many everyday products. These tiny components are used in many fields of applications. 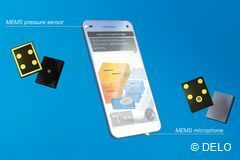 In particular, mobile phones and automotive applications contain numerous MEMS elements. DELO’s adhesives for MEMS packaging are easy to process, highly flexible and have an outstanding die shear strength. 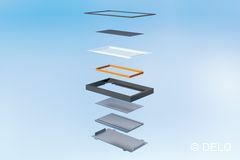 Our light-curing adhesive DELO® PHOTOBOND® connects, as an example, membrane to coil, cover to membrane, etc. Furthermore, they are adequate for membrane damping, wire fixing, contact sealing and speaker box bonding. DELOMONOPOX or DELO-ML is used for bonding the magnet system. The penetration of touch panels in the cell phone market is forecasted to reach more than 40 % in the near future. The introduction of new tablets will cause an even larger increase in the use of this technology. 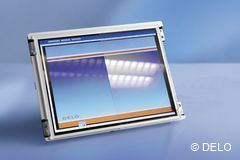 The touch display is a “sandwich” of many active layers that needs to be efficiently assembled. This is due to high-performance criteria issues such as light transmission, impact resistance, and environmental resistance. 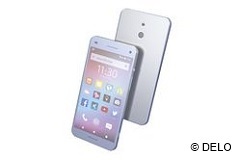 DELO has developed new optically clear light-curing liquid adhesives with ideal properties for cell phones.